We arrived at the Sletvik Field Station where will spend time performing experiments on water quality. After a nice day at the cabin, we returned to the hostel for one more day to prepare for the next week. Since most places in Trondheim are closed on Sunday, I was happy to spend part of the trip making sure that the things I was learning had actually stuck with me. Once I had finished, I joined some friends in packing up my things before taking off for the field station the next day, and got to bed relatively early, with the sky still bright. 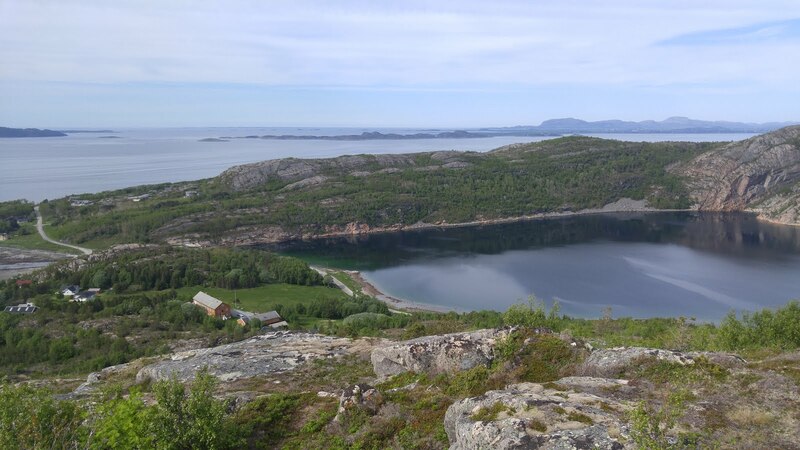 Today, we got on a bus and rode around the fjords to get to the Sletvik Field Station that is north of Trondheim. With the closest store being five kilometers (About 3 miles for anyone who would like a conversion) away, it is a relatively isolated place, but the nature is breathtaking. 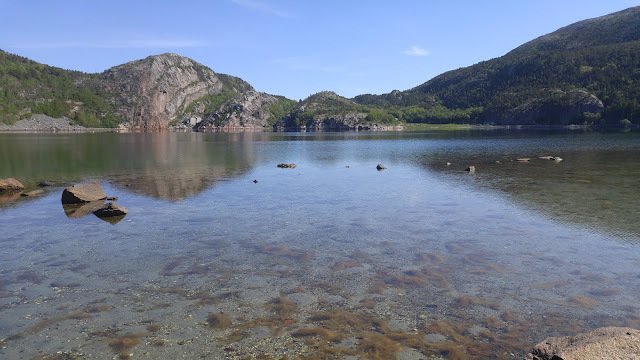 The station is surrounded by rocky hills with a bay in front that we could fish or swim in. They even had a boat for us to take out onto the water, but not before we had our first class about what our experiments will be for this week. We will be focusing more on the water quality of bodies of water, specifically the bay. This week we get to look forward to taking data by going out onto the bay in the boat and using secchi discs and a hydro computer to analyze the pH level, the salinity, and other characteristics of the lake. Once we finished with our lecture, a few friends and myself went for a hike up the nearest peak to the field station. What was different about this was that there was no marked trail at all. All of us just used our best judgement on how to get up the hill, and once we made it, the view at the top was excellent. Once we had reached the top, most of us just sat there for the rest of the time until dinner was served at the field station. We were all chatting and joking around, but it was fun because we got to do it on top of a huge hill overlooking the fjords, which is definitely something you can’t do in Minnesota. It was a nice reminder of how much different the world can be when you take the time to explore it and view it from a different perspective. I’m very excited to be at this field station that’s a little more secluded, and still has so much to offer. It’s one of the many reasons why studying abroad is an experience you should not pass up.